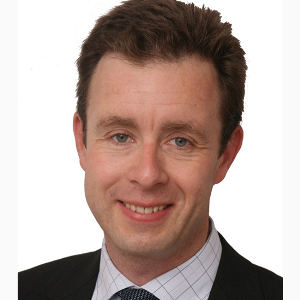 Andrew Brown is a Managing Director and the Chief Investment Officer for Emerging Capital Partners (ECP). Mr. Brown is responsible for overseeing the firm’s investment processes including deal sourcing, transaction execution, investment management, and exits. Prior to joining ECP in 2011, Mr. Brown worked at Amundi Private Equity Funds as Chief Investment Officer of the Kantara Fund, a €150 million buyout and expansion capital fund investing in North Africa. Mr. Brown started working in emerging market private equity in 1998, when he joined the Commonwealth Development Corporation (CDC), the UK’s Development Finance Institution in London, specializing in telecoms and infrastructure investments in Africa, Asia, and Latin America. He later became the Cairo-based Egypt Country Manager for Actis, an emerging market private equity investor established as a spinout from CDC. Prior to working in private equity, Mr. Brown was a Management Consultant for Coopers & Lybrand in London specializing in telecoms and media and an Associate Director in Zambia specializing in privatization. Mr. Brown is a qualified Chartered Accountant and an ACA prizewinner through the Institute of Chartered Accountants of England and Wales (ICAEW). He also holds a degree in English language and literature from Durham University (UK). He is a British citizen and speaks English and French.